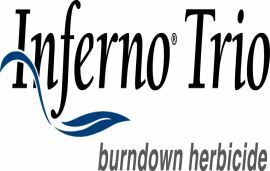 For spring wheat growers looking for a better burndown herbicide with enhanced and extended control of broadleaf and grass weeds, Arysta LifeScience North America has announced the launch of INFERNO® TRIO Burndown Herbicide. 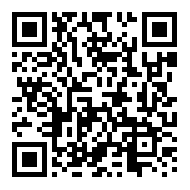 INFERNO TRIO provides ultimate burndown in wheat with three active ingredients. The advanced formulation of flucarbazone, florasulam and carfentrazone makes INFERNO TRIO an exceptional resistance management tool that can be used in a wide variety of crop rotation programs. The herbicide provides long-lasting control of the toughest grass and broadleaf weeds, including Group 1-resistant wild oat, Group 2-resistance kochia, cleavers, wild buckwheat and Roundup Ready®canola volunteers. When mixed with glyphosate , the herbicide provides a unique active ingredient combination with three modes of action (Group 2, Group 9 and Group 14) for even broader control.